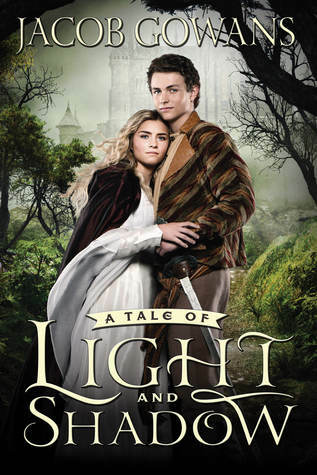 Book Description: Enter Atolas, a world where swords and daggers both extend life and end it, where magic is feared by all but a few, and where feuds and friendships influence kingdoms and courtships. Henry and Isabelle have secretly sworn to marry despite his lowly station as a carpenter, but his devotion to her drives him to commit an unthinkable act that may cost both of them their lives. At the same time, a secret, dark prophecy has set in motion events that will affect not only them, but the thrones of rulers throughout all of Atolas, threatening to eclipse the world in shadow. But all is not lost while hope remains in the guise of an unlikely hero and the strength of friendship. My thoughts: This book has a little bit of everything: Romance, Adventure, Action, Mystery, Magic... I can tell that it is well thought out. Jacob Gowans does a wonderful job at laying the foundations while keeping the story moving. There are plots within plots. It is intriguing how it all works and flows together. I was pulled into the world of Atolas from the beginning. Henry and Isabelle have a strong love for each other. Unfortunately, her father will do anything to tear them apart, including selling her to be a concubine to an Emperor. They pass through many trials that test the strength of their bond and prove who are their friends. The book ends on a cliffhanger. I am so grateful that I have the second, Secrets of Neverak, already in my possession. This is a book that you need to find out if there will be a happy ever after. I liked the characters, particularly Isabelle, Maggie, and Henry. Ruther, James. and Brandol all have secrets that make them a little less lovable, but it will be great to find out what it is to drive them to their thoughts and actions. This is a great book with a little bit of kissing and violence. About the Author (taken from his webpage): Jacob Gowans is a dentist currently working in Utah. He is husband to a beautiful wife, and father to four cute children. He shuns all pets. When not working or writing, he enjoys watching sports, reading, running, acting, listening to a variety of music, kissing his wife, internet shopping, and chasing his kids around the house. He is passionate about board games, both old and new. 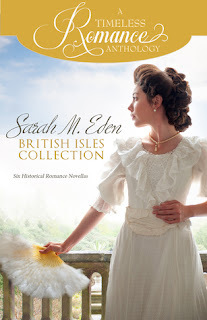 Book Description: The SARAH M. EDEN BRITISH ISLES COLLECTION contains two brand new historical romance novellas A FRIEND INDEED and A HAPPY BEGINNING, as well as four hand-picked readers’ and reviewers’ favorites of Sarah’s popular Timeless Romance Anthology novellas. Readers will love this selection of six historical romance novellas set in the British Isles. 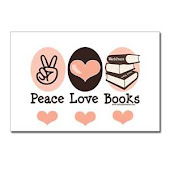 My thoughts: You can't go wrong with a Sarah Eden book. This collection contains six of her short stories, and each one were worth the time in reading. I even re-read a few, and loved them the second time! The setting for the stories are the British Isles. Some of the characters are rich, and some of them are poor. You will find your imagination in ballrooms and wallowing in the mud. I loved the variety of characters and plot. I really do not think that I could pick a favorite. Every story was well written and had lovable characters. Wishing you a very Merry Christmas. Enjoy time with friends and family. I do not plan on doing a lot on line over the next week. My son is returning home from an LDS mission (Chile Santiago South) and I plan on catching up with him and spending much needed time with my family - uninterrupted. So, have a Happy New Year! 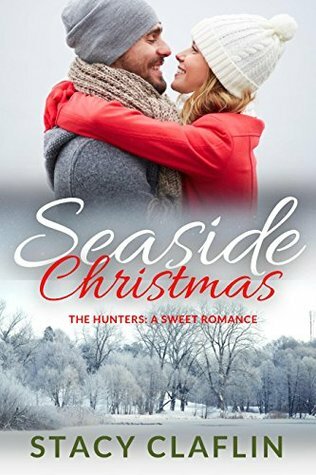 My thoughts: This is a very sweet romantic Christmas novella. Charlotte is a widow and has come for the marriage of her sister to William. 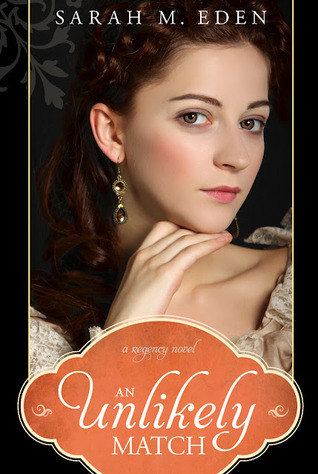 A change of circumstance puts Charlotte in a position to marry William instead. This provides security for herself and toddler son. She is willing to help others, giving up some of her own hopes. This book takes place for twelve days after their wedding. It is a confusing time for both of them and they take their relationship slowly to come to know one other. I loved how sweetly William and Charlotte try to put each others feelings before their own. William is willing and able to step up as a husband and a father. He immediately takes to Charlotte's son and gives him love and attention. The process to love isn't always easy but it is wonderful when it happens. I loved that Charlotte was a widow and that her heart wasn't closed up because of the death of her husband. This is a book about second chances and living life after heartbreak. Novella Review ~ "Power of the Matchmaker"
My thoughts: If the "Power of the Matchmaker" series is anything like the prequel, we are in for a treat. Mae Li has anxiously awaited the matchmaker pairing her and Chen together. They are in love and want to be together. In a tragic mistake, they are not paired and Chen has decided to not risk his family honor and marry the other girl. The heartbreak she suffers brings her to a place where she can make better decisions and help guide the destiny of other's lovingly. Through her struggles she is able to become a strong woman who gives selflessly. This is a great beginning. 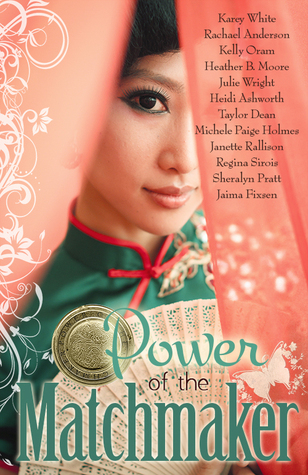 I loved it from start to finish and look forward to seeing Mae Lin (aka Pearl) in action. Book Description: A freak ski accident brings nineteen-year old Mia Kinney within minutes of death. Hurt and scared, Mia is calmed by the southern drawl and clear green eyes of her rescuer. My thoughts: This book was hard for me to get into. There were so many characters who had the story told from their point of view. Sometimes the points of view overlapped when it didn't seem necessary. That being said, I did like that the story focused on some issues that may affect young people. One of Mia's best friends wants more to their relationship than friendship. She handled the situation sensitively and let him know he was important to her. Mia takes a fall from a ski lift chair. Her recovery is not easy. I liked that her friends and family surrounded her and helped her through a very tough time. The compassion shown through the community was admirable and left me with a feeling of hope for the future. I know it was a fictional book, but parts of it were taken from a real life tragedy that the author describes in the back of the book. Dylan (Mia's love interest) is struggling emotionally after mental, verbal, and physical abuse from his father. He has issues that are real for many people. I loved the support and acceptance that Mia gave him. He is lucky to have someone like her. 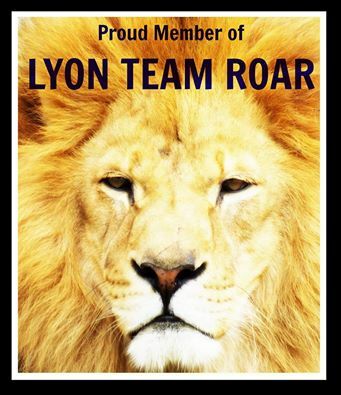 I believe that it showed the power of compassion and empathy in helping another deal with traumatic situations. The only real problem that I had with the book was the writing style. The book contains swearing, kissing, and violence. I love Christmas time. I love all of the decorations that I place in my home. The spirit of goodwill is stronger (unless you go to the mall). Neighbors take time to take goodies to each other. Kids are excited. There are many things that help me feel great at this time of the year. 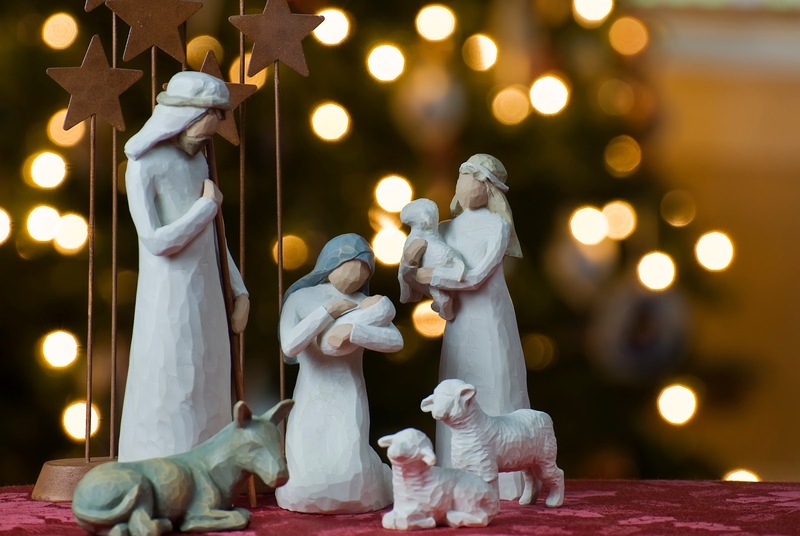 One of things that becomes hard to remember is that this is the Season where many people celebrate the birth of Jesus Christ. I love to surround myself with images of the Savior and watch media that helps me remember Him. I was received a wonderful package in the mail full of things to help my family and I think of the Savior. First is a beautiful Christus Marble 3" statue. I was surprised at the detail on such a very small statue. I am thinking that this would make a great stocking stuffer for my son who will be returning from his mission in the Chile Santiago South Mission on December 29th. 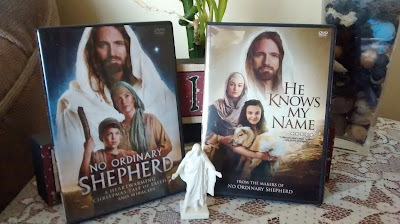 I watched both "No Ordinary Shepherd" and "He Knows My Name" over the weekend. "No Ordinary Shepherd" is 22 minutes and "He Knows My Name" is 35 minutes. The scenes with the Savior healing the afflicted brought tears to my eyes. Neither video has the best acting, but they bring a very strong spirit of the life and ministry of the Jesus Christ. I loved that the videos were told through the eyes of children. Here are links to the products above. The next two items are books about Christmas! "It's All About Christmas" is 232 pages. It is illustrated in an old fashioned style, it's a beautiful book. It is full of Christmas poetry, stories, jokes, traditions, recipes, quotes, etc. 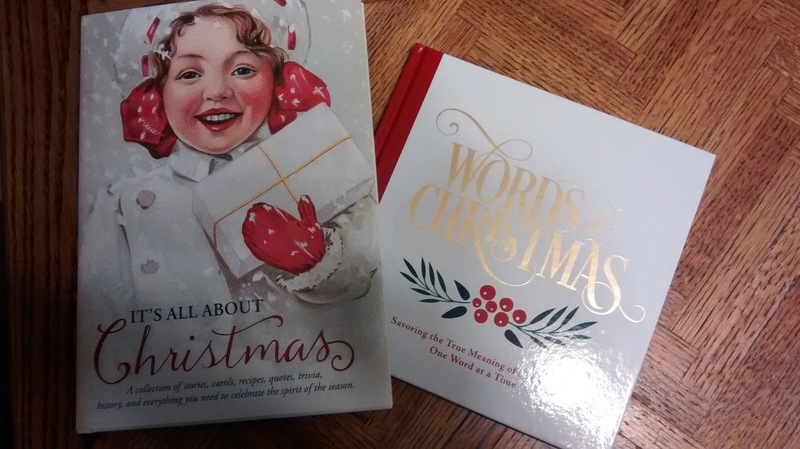 "Words of Christmas" is a short book. It focuses on reflections of the words associated with Christmas. You can sit down and read through it once, but is designed to focus on a word per day starting on December 1st. The purpose is for the reader to gain a deeper appreciation of Christmas and to discover what it means to the individual. 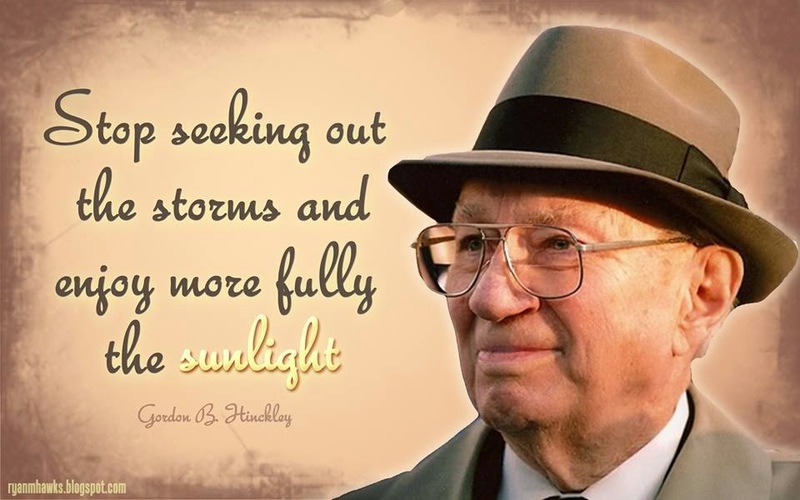 Some of the words: Family, Giving, Light, Christ, etc. 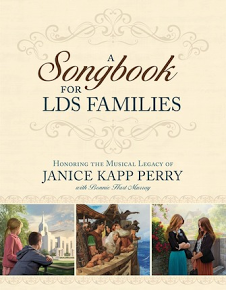 The final item in the package is a song book of the music of Janice Kapp Perry. When I flipped through the book I was surprised that some of my favorite songs were written by her, There are two sections. The first has 18 of her best loved songs and the second 28 of her Book of Mormon songs. 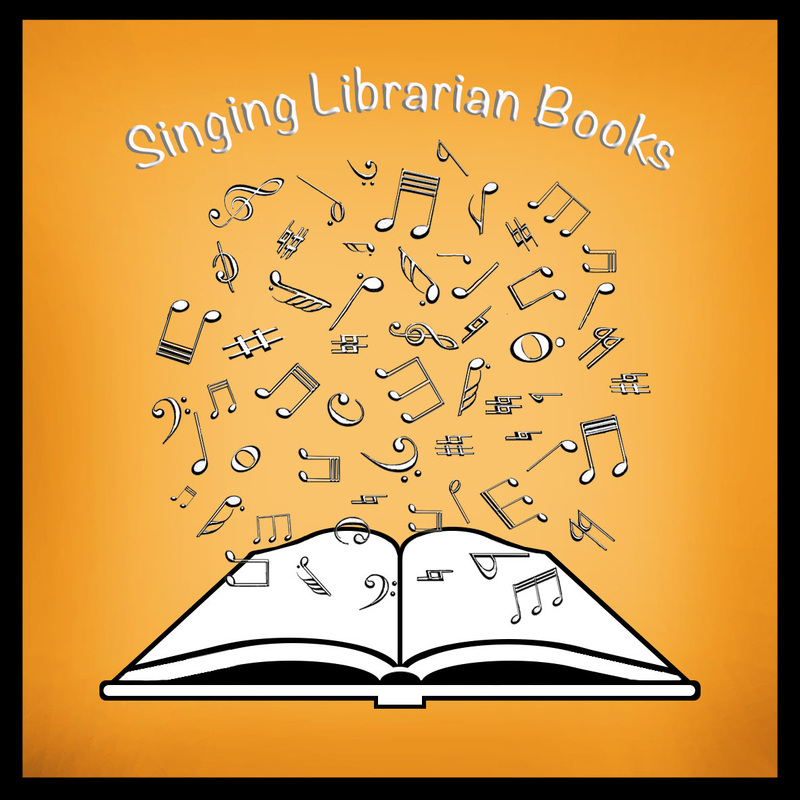 She introduces songs in the first section that explain how she came to write that piece. I love the insight! The pictures are amazing. It also includes the piano arrangement to the song. It makes me want to improve my very limited abilities on the piano and play this inspirations music in my home. Book Description: The future has never looked brighter for once penniless Nickolas Pritchard. Now in possession of an unforeseen legacy from a distant cousin, he can finally woo the exquisite Miss Castleton, belle of the London Season. What better setting for matchmaking than Ty Mynydd, his ancestral home nestled in the untamed hills of Wales? Ideal, indeed ... except for the ghost. For nearly four hundred years, Gwen has walked the halls of the home in which she lived—and died a mysterious death. But despite centuries as the reigning force within her ancient residence, nothing prepares her for the charm and unexpected appeal of Englishman Nickolas. A deep and abiding affection grows between the two, tempered by the unbreakable barrier that separates them. They cannot possibly hope for a happily ever after. there can be no future between a man yet living and a woman long dead. But how can Nickolas possibly give Gwen up? And how can Gwen face an eternity without Nickolas? My thoughts: I have read many of Sarah Eden's books and this one was different from the rest. It was a great book to read, just not what I expected. This book is set during the Regency Period in Wales. Nickolas Pritchard has just received and unexpected inheritance. Orphaned as a young boy, he has been passed from one family to another and doesn't have money to call his own. With his change of fortune, he invites the object of his affection, Miss Castleton. and her family to join him as guests in his new home. He also invites the Davis family who had been generous in opening their home to him during his time of need. The guest he didn't plan on was the resident ghost, Gwen. This is a sweet romance story with surprising turns. I wondered how she would pull it all together and she did a great job. Of course, it is exactly what I would expect of Sarah Eden. She has never disappointed me in my expectations of her books. Book Description: He can’t stand her. She thinks he’s crazy. Will their feelings stay etched in permanent ink? Cruz Hunter has always stuck out in his small hometown. Now that he’s covered in tattoos, the residents peg him as even more of an outcast. It seems like the whole world is against his dream of opening a local tattoo parlor. When he finally finds the perfect place for his new business, Cruz discovers a pastor and his daughter have already bought it. The only thing more irritating than the change in his plan is Talia, a beautiful and feisty argument in a dress. Cruz would like nothing more than to have her out of his life and his mind, but for some reason, she’s the only thing he can think about. If Cruz and Talia can stop arguing long enough, opposites may do much more than attract. My thoughts: This is a sweet romance that shows how two people, who appear to be completely different, can be attracted to each other and find happiness. At first glance, Cruz Hunter would appear to be a rebel. He is an artist who loves tattoos. His dream is to open up his own tattoo parlor and pursue his artistic abilities. The town council and others are afraid that his parlor will attract unsavory characters to their small town and sell the building he had been promised out from under him. They sold it to a pastor and his daughter. rchase. They didn't realize that their dream would cause heartache to another. One thing that I appreciated in this book was the harm in preconceived notions. Many judged Cruz because of his appearance. He even harshly judged himself. He is a wonderful guy who never believed that he measured up. I loved the message of looking past the outside appearance of another and finding their character and heart. I enjoyed Stacy Claflin's writing style. She kept my interest and the book moved along at a nice pace. This is a clean contemporary romance centered around the Christmas season. This book is the fifth in a series. I had only read one before this and had no problem following along. It can be read as a stand alone. Book Description: A woman rancher struggles to save her ranch, but it’s her heart she’s most in danger of losing. Storm’s ranch is teetering on the edge of bankruptcy after cattle rustlers strike. When her part-time ranch hand dies under suspicious circumstances, two neighboring ranchers step in to help. In jeopardy of losing the only place that’s ever felt like home, who can she trust with her heart? My thoughts: Storm is living the life that she wants. She is young and owns her own ranch. She has a hard time making the loan payments, but is positive when she takes the cattle to market, she will be able to may her payments. That's when the unthinkable happens.... someone steals eleven of her herd. The same day she learns that one of her employees has died in a car accident. She receives help from unexpected people. The first is Dak, the widower neighbor. He was the perfect character to help her through her many rocky trials. I can't say he was perfect, but he owned up to his mistakes and did everything to make them right. He took Storm where she was and helped lift her when she needed it. Storm is not the only victim of the cattle rustler. There is a bit of mystery and suspense as she tries to figure out who did it. I loved the sense of community in the book. The people look out for each other and are helpful. Kate Palmer did a wonderful job at pulling me into the book and keeping me invested in the plot and characters. This is a clean romance with mystery. 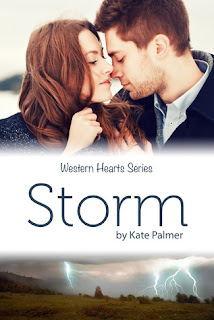 I really enjoyed it and look forward to reading more of Kate Palmer's books. Disease, freezing temperatures, and the Revolutionary War bring bitter reality to the Reed home in December 1777. Captain Benjamin Reed is ordered to sail a supply shipment south to General George Washington. Days before Shenandoah’s scheduled departure, Ben’s first mate succumbs to smallpox. Rebecca Reed had never feared the dreaded disease until her one-year-old daughter Felicity breaks out in the telltale rash. 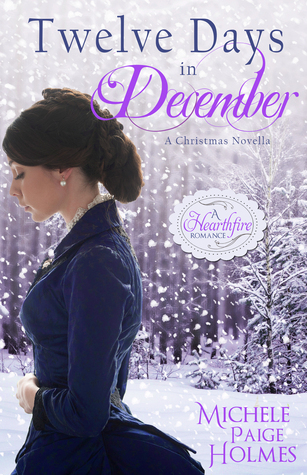 In the cold, dark days of Advent, Rebecca, Ben, and the Reed family wait in prayerful hope as Felicity fights for her life and they wonder who could be next. 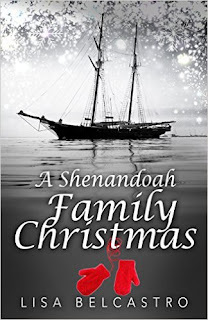 With the rest of the family at risk, they decide to obtain the forbidden cowpox vaccine. Ben's brother Jonah, his uncle Isaiah, and Shenandoah’s cook Adam Greene venture off in search of the outlawed vaccine. A blizzard hits. A tree crashes. Jonah crumbles to the ground. A woman with the face of an angel aids Jonah, but is it too late? And where are Adam and Isaiah? As the death toll rises throughout the Colonies, the Reed family prays for more than one Christmas miracle. “Come on, sweet girl, take a sip of water.” Rebecca Reed held the teaspoon against Felicity’s lips. Although the baby burned with fever, she turned her head away, refusing the water. Less than two months ago, they’d celebrated Felicity’s first birthday. Now, Rebecca feared her precious girl had contracted a serious case of influenza. For two days, she’d lain limp and despondent, her temperature reduced only with cold compresses and body wraps. People died from influenza. Lots of people. Rebecca shuddered. She’d grown up untouched by fatal illnesses or the fear of contagious disease. 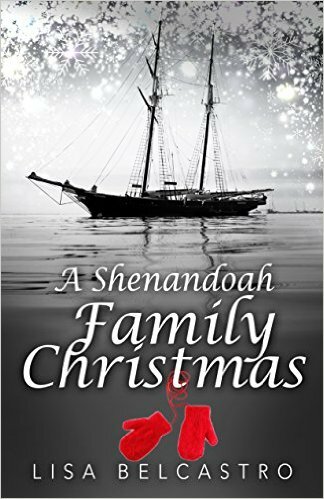 Life in 1777 was so very different from everything she’d lived before she’d unknowingly entered the time portal in her now-husband’s ship, Shenandoah. In this time that was now her present, the colonists were battling Britain for their freedom. Disease and poverty ran rampant and soldiers died every day, victims of starvation, sickness, and freezing temperatures. Rebecca had known all this was going to happen, but she never thought her family might be, or would be, one of the casualties. Shaking off the thought, Rebecca plunged the damp cloth into the pail of frigid stream water with melting chunks of ice Ben had brought upstairs a half hour ago. She wrung out the excess, then pressed the cloth to Felicity’s neck for a minute. Her temperature had to be close to 103, possibly higher. The cloth warmed almost instantly. She turned over the beige fabric and placed the cooler side on her daughter’s forehead. Felicity barely moaned, her body wilted from hours of infection. What Rebecca wouldn’t give for a bottle of children’s ibuprofen, a digital thermometer, and a prescription for Tamiflu. But that was a lifetime ago. Medicine, at least the kind she’d grown up with, wasn’t an option. Herbal treatments, ice baths from the nearly frozen-over stream, and vigilant care were her only options. God was close to the sick and brokenhearted. How many times had Rebecca read those verses? Today, she needed to feel Him in the room, next to her, with Felicity. The swag of pine branches and red bow adorning the window reminded her that Christmas was coming. Felicity was too young to understand the holiday’s importance, but Rebecca couldn’t bear to think about Christmas arriving with Felicity still sick . . . or worse. She kissed her baby on the cheek, then rose and carried her back to the crib. Last week, when General George Washington sent orders that Ben was to sail south before the weekend, Rebecca had moved the crib into the cozy spare room. Ben couldn’t afford to get sick. A fire burned in the hearth of the room that would one day be Felicity’s, and any sisters she might have. Rebecca positioned her in the crib nearer the far wall. She gingerly lowered Felicity to the bed, which Ben had lined with sailcloth to protect the mattress during the cooling sessions. If only her baby girl would stir, resisting the separation from her mama. She didn’t. Her fourteen-month-old body didn’t react. Not so much as one finger reached out. Another sob built in Rebecca’s throat. She fought against the sadness and fear. She would cry later, after Felicity was better, after this nightmare was over. Determined to beat whatever ailed her daughter, Rebecca dunked a sheet into the cold water, and then covered Felicity. The goal was to bring her fever down and keep it down. She had halved two large onions and put them on rags around the crib. Whether it was an old wives’ tale or not, many women swore by sliced onions for guarding against germs. Rebecca would do all she could. She couldn’t fail Felicity. Nothing else mattered. She glanced out the window. The diminishing light of the setting sun signified the dark days of winter and gave Rebecca an uncomfortable twist in her stomach. She moved across the small room and lit the oil lamp. She needed light—and hope. Sitting in the rocking chair next to Felicity’s crib, Rebecca began singing the nursery rhymes of her childhood. The songs filled her with sweet memories of her mother and grandmother. She willed Felicity to hear her. How she longed to see her daughter rock from side to side, smiling as her mama sang to her. Her husband, Captain Benjamin Reed, was a kind and loving man, and also a man of detail. He ran a tight ship, missed little, and had earned the respect of his crew and fellow patriots. Feeling their daughter’s forehead, opening her mouth and examining her lips, Ben shook his head. “No!” Rebecca wobbled, her body folding in on itself as the news delivered a brutal blow to her mind and body. Smallpox . . . The dreaded disease that claimed thousands of victims over the last year, the scourge that Rebecca had taken such care to protect her daughter from—how could it have happened? It wasn’t possible for her to be sick. It just couldn’t be! “William was here two weeks ago. He played with Felicity. He—” Rebecca couldn’t finish her sentence, couldn’t say aloud what her mind did not want to hear. “Nay.” Ben kissed Rebecca’s cheek, and then gently pried open Felicity’s lips to check her gums more thoroughly. No spots. Easing a finger between her gums, Ben opened Felicity’s mouth. No spots. What if Ben was right? What if William died? What if that dreaded disease had its grip on her daughter? Ben wrapped his strong arms around them, and began to pray. Rebecca buried her face in the crux of Felicity’s neck and listened to her husband call upon the Lord. 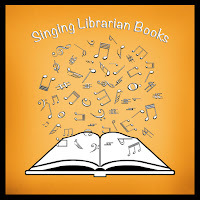 Purchase an eBook for 99 cents! 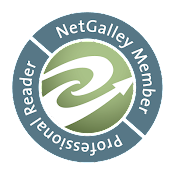 About the Author: Lisa Belcastro lives with her family on Martha’s Vineyard. She loves time with her family and friends, running, gardening, outdoor activities, cooking, chocolate, reading, traveling, a healthy dose of adventure, and her cat, Ben, who keeps her company while she creates fictional lives for the numerous characters living inside her head. 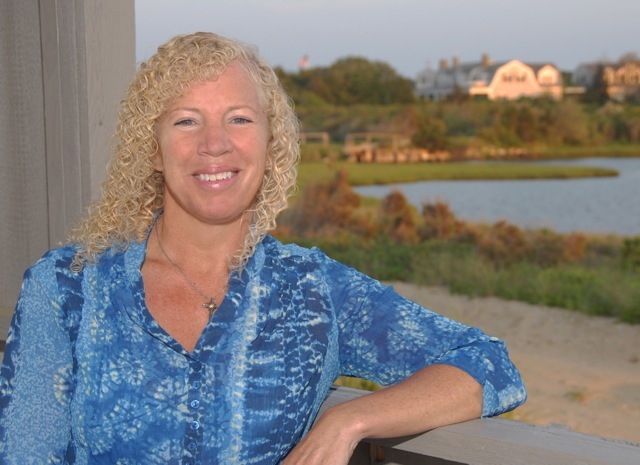 Lisa’s stories are set on the Vineyard amidst the magnificence of the ocean, the beauty of sandy beaches, rolling hills, and ancient cliffs, as well as the people and events that make the Island so very unique. The Secret Life of Daydreams by Lucinda Whitney Six years after a painful divorce, Josh Conrad is happy traveling the world as a photographer. When he arrives in Portugal, he plans to complete the assignment as quickly as possible. What he doesn’t plan for is Sofia, the girl he baptized eleven years earlier on an LDS mission, and soon he’s making excuses to prolong his trip.Sofia Monteiro leads a structured life in Braga, Portugal, teaching high school by day and caring for her mother by night. After she reconnects with Josh through mutual friends, the memory of a failed relationship and her new graduate program are enough reasons to stay away from him. As they collaborate on a project, Josh is wary of repeating his old mistakes and Sofia hesitates to spend time with an American who’s only passing through. Can two people with wounded hearts bring themselves to trust their dreams to each other? Sofia walked back to meet Josh and they strolled together past the deck at the reception center and the start of the trail. She unfolded the map and held it up between them.She pointed at the spots of interest. “This is the suggested route. The main road goes up the hill to the western fortification wall. At the acropolis, there’s another wide road that intersects in the opposite direction.” She circled several areas. “These areas are the residential nucleus and along the way we can see the remains of the round dwellings and the more common rectangular ones.” There was more but she looked up to Josh. “Are you okay with following this route?” “I’m here to follow you.” He swept his right arm in front of her. “Just lead the way.” Sofia straightened and pocketed the map. Josh carried too much and she hesitated. “Wouldn’t it be easier for you to use the equipment if I carry the backpack?” He paused for a moment and surveyed the area then chuckled. “Sneaky, aren’t you? I know what you’re trying to do here.” Why did guys always think they had to do everything to prove their virility? Such a macho thing. She splayed her hands on her hips. “It’s the twenty first century. I can carry my share. Besides, this is more like a business outing, not a date. Which means you don’t have to carry stuff for me.” She extended her hand for the backpack. “What if I believe in chivalry? You won’t give me a chance to practice it?” “And what if I’m a feminist? You won’t respect my views?” She was pushing him now and enjoying the banter. Josh eyed her and held quiet, the corner of his mouth twitching. Sofia wanted to laugh. He was probably trying to figure out how serious she was about feminism. After a few seconds, he set down the tripod and removed the backpack, but his eyes crinkled with a lack of seriousness belied by his actions. Sofia took the backpack from him and put it on. It wasn’t even as heavy as she’d expected. “See? That wasn’t so hard, was it?” She started up the trail then turned back to Josh. “And you still have your man card intact,” she added with a smile. Josh laughed. “Sassy, aren’t you?” “Come on, we don’t have all day,” she pressed in a teasing tone. 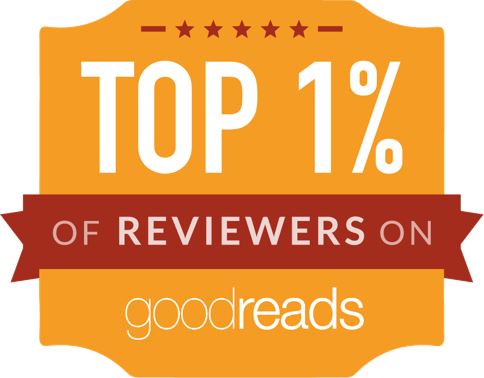 Pre-order The Secret Life of Daydreams for just 99 cents! Author Lucinda Whitney Lucinda Whitney was born and raised in Portugal, where she received a master’s degree from the University of Minho in Braga in Portuguese/English teaching. She’s a cancer survivor, and served a mission for The Church of Jesus Christ of Latter-Day Saints in the Salt Lake Temple Square Visitors Center mission in Utah.She lives in northern Utah with her husband and four children. When she’s not reading and writing, she can be found with a pair of knitting needles in winter, or tending her herb garden in the summer. She also works part-time as a substitute teacher. A Heartwarming Thanksgiving Grand Finale!